Many — including us — are extolling the virtues of the iPhone 4S' improved camera; we said in our own review that it's a viable replacement to a point-and-shoot. 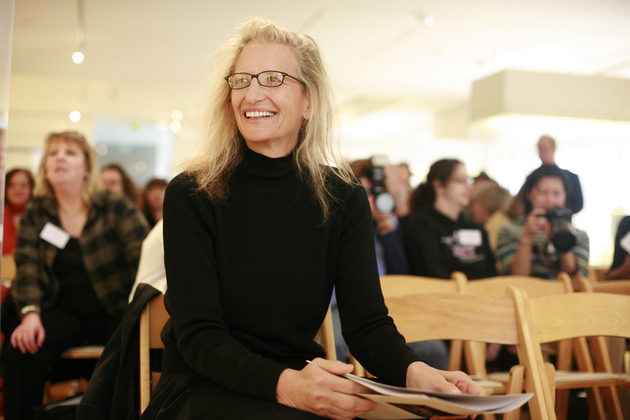 Celebrity portrait photographer Annie Leibovitz is next on the bandwagon, saying on Brian Williams' Rock Center that the iPhone 4S is "the snapshot camera of today" -- though she concedes that "you have to stay pretty still" and that the photos "are pretty fuzzy." Still, there's no doubt that the updated backside-illuminated 8-megapixel sensor and f/2.4 lens combo can take some great shots. After all, didn't someone say that the best camera is the one you have with you? See the video below to hear Leibovitz's thoughts for yourself.